This is the story of Saul, one of those Torquay characters that we seem to have so many of. You’ve probably seen him yourself as he was one of those guys that like to hang around Castle Circus. He was pretty harmless, though he did like a drink. And if you frequent such establishments, you may even have spoken to him in Twiggy’s, the White Hart or, on occasion, the Fox and Firkin. But you won’t have seen him in any Harbourside pub… landlords down there just don’t like the way he scared the tourists. I don’t drink a lot but on Friday afternoons I do like a couple of pints in Melville Hill’s Clipper Inn, not the most salubrious of Torquay’s hostelries but there’s not many real Locals left. I just like to relax, read the paper and idle a few hours away after work. I still remember what was on the juke box when Saul first came in – Nick Cave singing, “They’re whispering his name through this disappearing land. But hidden in his coat is his red right hand”. It was around five on a Friday that this old man sat down next to me, introduced himself and we started chatting. The first thing he said should have been a bit or a foretaste of what was to come. “Call me Saul, but that’s not my real name. In the Bible Saul is troubled by an evil spirit sent by God.” I know you’re thinking that I should have just ignored him, but he came over as quite a clever guy. 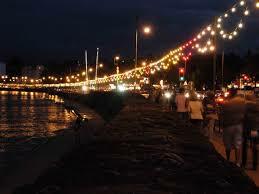 Also, because I’m interested in Torquay’s recent history, I was intrigued when he started to tell me his life story. What really got me hooked was when he announced that he was being haunted. Saul was one of that loose association of Torquay hippies who took the fateful minibus up to see Alan Ginsburg’s Albert Hall ‘Wholly Communion’ poetry gig back in 1965. I guess that would make him in his early seventies. The gang returned to town convinced that to be a real member of the counterculture they needed to embrace the new drugs that were just coming onto the streets. 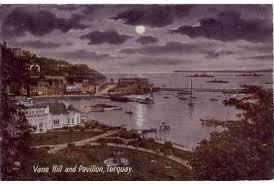 If you want to identify a date when Torquay’s drug culture took off, it was then. Yet, while Saul joined the others in enthusiastically injecting and ingesting a variety of substances, he told me that he was different. He didn’t want to open his mind to the universe… he wanted to seal himself off from what he knew and what he was seeing. His central belief was that he was being victimised and this conviction went back a long way. One of his earliest memories, he related, was when as a small boy he took a walk clambering across the rocks at low tide around Corbyn Head. He saw a tall thin figure standing on the wall in front of the sea caves. This figure – he didn’t describe it much more – put its forefinger to its lips to suggest keeping silent. From then on he saw these figures often, usually in ancient places. One of the locations Saul now avoided, for example, was the old road between Newton and Barton. It cuts through an Iron Age hill fort built by the Dumnonii tribe two thousand years ago. Each time he cycled through the old ramparts he saw them, watching him as he passed, and their number kept increasing. Over the years, he told me, he began to put it all together. These things he saw were part of another reality, a shadow dimension that was trying to break through to us. There were two worlds which occasionally scraped each other and there were “thin places” where their reality bled though into ours. It’s always been like this and we used to be aware of the danger we were in, but over the centuries most of us had forgotten, except in our nightmares. Nevertheless, all religions kept some awareness of the inevitable return of these old gods, inhabitants of another realm who loathe us for our possession of the light. When they finally find a way through this would be the end of the world, and then our earth would become a slaughter house. I always try to be a bit politically correct and use words like ‘delusional’ and ‘mentally distressed’, but when you meet crazy, you meet crazy. Saul honestly believed that he was the victim of unseen forces that were out to do him harm. But that’s the thing about conspiracy theories. They link together a load of different facts and wild ideas to give a narrative. And Saul was a clever guy. He had developed his ideas into a world-view where the whole of human history was based on keeping these old malevolent beings away. “The Romans knew they haunted dark places” he insisted. “That’s why they left coins as tributes in Kent’s Cavern.” Saul had collected a list of local place-names that he recited to prove his theory: Preston was “preosta tun”, the priest’s farm, which was a protecting mission station; the caves underneath Daddyhole Plain are another weak point, Daddy being the old English for Devil; and there was Daison, which came from the Old English meaning ‘a sacrificial stone’ where murders took place to appease these terrible others. I guess he realised that I wasn’t taking him too seriously as he started getting agitated again. All along Dave hadn’t been happy with Saul’s behaviour and this time the old hippy was finally barred. He was escorted to the door from where he weaved his way down towards Abbey Road. I watched him as he failed to navigate between two parked cars even though you could clearly get a pram through the gap. That was the last time I saw Saul. A couple of weeks ago they pulled him out of the water just off Princess Pier. I did see the police helicopter hovering over Abbey Sands but didn’t make the connection until I saw his photo in the paper. It looks like that extra-strength Polish lager you can get in Lucius Street, and midnight walks on Princess Pier, aren’t a god mix. I didn’t go to the funeral but I heard that a few of the Castle Circus folks made to the Crem up in Hele, which was followed by an impromptu wake in Temperance Street. There’s an idea that paranoia can be infectious. A couple of nights ago, around nine, I needed some cash so parked up on Abbey Road and went to use the cash point outside WH Smiths. You know that the old River Fleet runs underground and you can hear it rushing by under your feet. Well, as I was taking out my money it seemed as though I could hear whispering coming from the gaps in the gutter. So thanks, Saul, for putting your crazy ideas in my head. And have you noticed how the Bay’s seagulls seem to have lost all sense of direction recently? I’ve had three of them slam into my windows in the early hours of the morning. It doesn’t seem to be doing them any harm, though, as there are never any feathered bodies there in the morning. I now keep noticing things that I hadn’t before. From my flat on Warren Road I can see Abbey Sands. At low tide at night there are sometimes strange movements in the water around Harbreck Rock, that seaweed- covered island off Torre Abbey. And last night I saw dull lights off Corbyn Head… kids I expect. All this is probably due to my growing insomnia. I now often stay awake till dawn and notice all those natural night noises. The late night silent phone calls don’t help but we all get those, don’t we? A few years ago some estate agency looking for a bit of publicity did a survey on those things that made parts of Britain different. 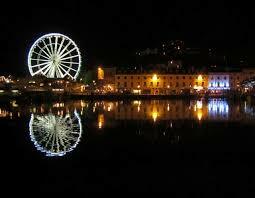 They found that more people in Torquay believe in ghosts than anywhere else in the country. When I read the story in the paper, I just thought it was one of those fun facts. Now I think that sometimes it’s worth putting all the evidence together. Perhaps nothing is a coincidence and, as Saul told me in those long conversations we had in The Clipper, once you really start looking, the patterns are there. You might be surprised at what they tell you.